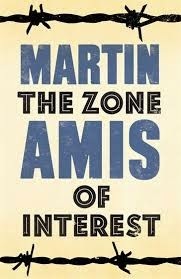 Both L and I are reading Martin Amis’s new book ‘Zone Of Interest’ for me this is a massive leap from The Hunger Games, from Katniss Everdeen of District 12 to Paul Doll commandant of Auschwitz. It’s my first Amis and I'm quite impressed. It’s a sort of a black comedy with a hint of romance set in a concentration camp. I’m all for invention. L, despite her late night, heads off for a good punch up at Fight Klub. Whilst I’m at dog training where no punches are being pulled and there’s also plenty of yapping.